What’s the issue with my tissue? This is most likely not an issue that many have thought too much about – you have a blocked or runny nose and reach for the nearest tissue box. 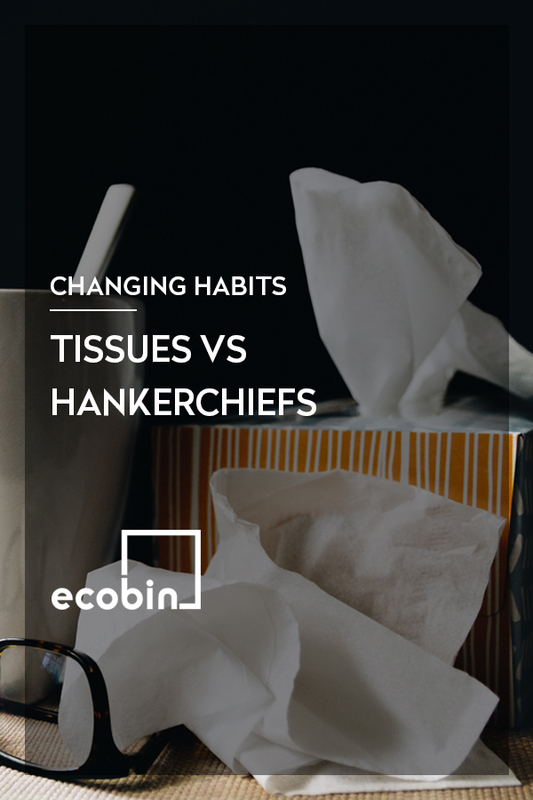 The idea of carrying around a hanky to most people is a bit ‘old fashioned’, however we’ve done a bit of research to hopefully make you stop and think before involuntarily reaching for the tissue box next time. Did you know each year Australians consume around 273,000 tonnes of tissue products (including toilet paper) and almost all of it is made from virgin fibre. Unfortunately, as with other paper products tissues cannot be recycled as they are contaminated after use which means they’ve got a one way ticket to the landfill tip. Why is the handkerchief a better option? Although they receive a bit of a bad rap as a germy piece of material that’s unhygienic and old fashioned, it’s actually not the case if they’re used correctly. If you use a cotton hanky properly and fold it after use, and pop it in the wash once it’s used three or more times you are not at any more at risk of spreading germs that you would be with a single use tissue. One of the biggest arguments towards single use tissues is to stop the spread of germs… but let’s be honest, how many people put a tissue in the bin straight after use? It’s normal for them to end up on desks, bedside draws, at the bottom of handbags or in our pockets which means the germs are still hanging around until you dispose of the tissue. Hankies are actually a great alternative to tissues, as they take considerably less of a toll on the environment as they can be washed and reused many, many times over. Also if you fold the hanky and pop it in your bag/pocket etc you are not spreading any germs at all. Win, win! Handkerchiefs are the way to go, peeps! It’s time to stop investing in single use tissues, reach for those hankies hidden away in the bedside draws and give them a go again. If you don’t have any tissues, perhaps think about reusing some old scrap material and cutting it up to make some of your own. If you’re still not convinced… here’s a joke to sweeten the deal…feel free to use it on your family and friends next time you pull out your hanky! Q) How do you make a hanky dance? A) Put a little ‘boogie’ in it! We know, we know…. and you’re welcome.